Andrea Gini and the Tohoku University Space Robotics Lab are pioneering the use of touchscreen technology for planetary exploration. This video of the Kaizen telerobotic control software shows the touchscreen interface in action, commanding the El Dorado II moon rover prototype on a trip through the lab. We are already planning a smart phone version of the Kaizen software to give ordinary people the chance to take a turn driving our rover on the moon during our Google Lunar X PRIZE mission! Credit to Kristhian Mason for the fantastic video editing work. 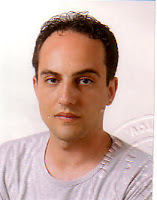 Andrea Gini developed the Kaizen software at Tohoku University as part of his Masters of Science in Space Studies at the International Space University. Andrea is an Information Technology professional, with extensive experience in software design and education, working as a professional consultant and as a teacher in training and certification courses. He already has masters degrees in computer science and scientific journalism. This project was conducted at Tohoku University, the key partner developing the rover for our White Label Space mission in the Google Lunar X PRIZE. Kaizen is a Japanese word composed of the words KAI (change) and ZEN (better). It refers to a philosophy of constant and never ending improvement in manufacturing, engineering, supporting business processes and management. In the 1960s America's NASA undertook the Surveyor programme, a series of robotic missions to land on the Moon for the purposes of science and technology development to support the Apollo program. 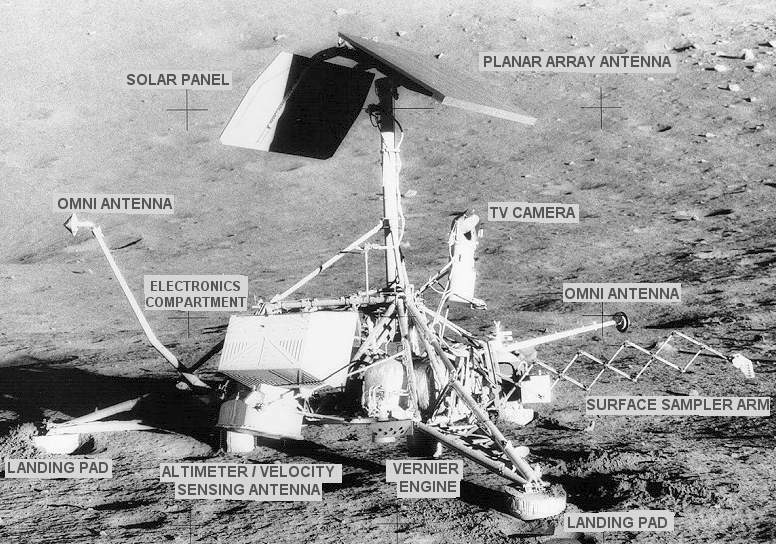 The very first mission of the programme, Surveyor 1, successfully achieved a soft landing in an equatorial mare region of the Moon (Oceanus Procellarum). That was the very first American propulsive Lander on another planetary body and came just three years before the first human landing. In total six of the seven Surveyor missions successfully achieved soft-landings, which gave the United States a very solid technological basis for later propulsive landing missions to the Moon, Mars and Venus. A large part of the success of the Surveyor programme can be attributed to the selection of a simple and reliable mission architecture that had a pragmatic and incremental approach to solving the most critical engineering challenges of the time, namely the closed-loop terminal descent guidance and control system, throttleable engines, and the radar systems required for determining the Lander’s altitude and velocity. The Surveyor missions were the first time that NASA tested such systems in the challenging thermal and radiation environment near the Moon. Key features of the missions were the choice of wide flat landing areas, a two-stage design (the first stage using a solid motor for braking), and the use of a 'direct-descent' trajectory that did not enter Moon orbit before landing. The main advantages of this approach were the relatively simple design of the engines for the landing stage, and the fact that a complex precision landing system was not needed. In the years following Surveyor, NASA developed more advanced landing technologies building upon Surveyor's critical systems and components, as well as the lessons learned during the programme. Embedded below is a detailed PhotoSynth of the Surveyor spacecraft at the Smithsonian National Air and Space Museum on the National Mall in Washington, D.C., created by one of the White Label Space team members in 2008. The Asia Times interviewed two White Label Space team members, Andrew Barton and Kazuya Yoshida, for this article about how the recent plans for the joint Indian/Russian moon landing mission might impact the Google Lunar X PRIZE (GLXP). The image above is an extract, download the full article here: Part 1, Part 2. 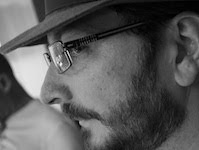 Aad Eggers is the Secretary of the White Label Space Foundation. Aad is an all-round engineer with extensive experience in the design/development of test facilities and test methodologies, and in the Assembly Integration and Testing (AIT) of complex spacecraft systems, subsystems and units. In 1971 he graduated from the aeronautical engineering department of the Technische Hoge School in Haarlem, the Netherlands. Since then he has worked at a number of Dutch aerospace companies in roles encompassing many technical disciplines including mechanical, thermal and optical. Highlights of his career have included developing the test equipment and breadboards for the European Robotic Arm (ERA), which is due to be installed on the International Space Station (ISS) in 2012 and development work on the Spacelab Airlock, a design that later flew successfully on 16 Space Shuttle missions. Henri Kok is the treasurer of the White Label Space Foundation. Henri is the founding director of Euro Financieel AdviesCentrum, a Dutch company specialized in financial planning, mortgages, insurance, financing, pensions, (bank) savings, investments and tax advice. He holds a Masters of Financial planning from Erasmus University and a Masters degree in Aerospace Engineering for TU Delft. Henri worked as a designer at Fokker Aircraft Industries from 1986 until 1996 when he started his career as a financial advisor.